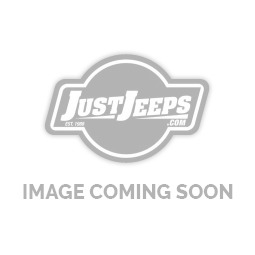 Just Jeeps Jeep Patriot | Jeep Parts Store in Toronto, Canada. Jeep's Patriot small SUV is related to the Jeep Compass and Dodge Caliber, but has a more upright body. It uses the same 2.0- and 2.4-liter, four-cylinder engines found in the Caliber, which we found slow and noisy. Ride and handling are acceptable, but not impressive. Interior fit and finish are sub par. The narrow cabin and small windows give a closed-in feel. The Patriot is not designed for serious off-roading, but should be capable for the occasional trail excursion. An optional off-road package has a hill-descent system and an extra low gear in the CVT. Five-speed manual and CVT transmissions are offered. 2009 models received some updates, but not enough to lift this car from mediocrity. At Just Jeeps, we stock a variety of Jeep Patriot parts and accessories sourced from the leading manufacturers globally. Our accessories aren’t different from the factory parts; the same Jeep Liberty parts that shine and sparkle under showroom lights. The good news is that we provide our customers lucrative discounts that no other dealer would share to allow you save on your budget.